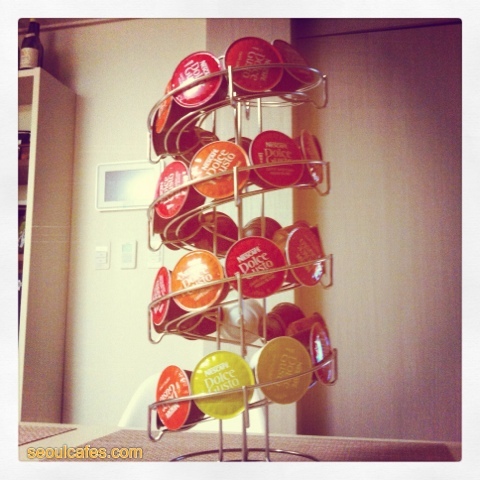 We never thought of having coffee in a capsule~ Never say never! These capsules actually produce a decent cup of coffee. It can never replace a freshly grounded coffee obviously, but it's close enough. Let's say it's about a quality close to a cup of "Paris Baguette" coffee~ so that's about a 3000won coffee for around 600won a cup! TIP: You can purchase the capsules in Emart (big grocery chain store nation wide in Korea). They sometimes run out of our favorites, Americano and Lungo - so stock up on them before they run out - which usually sometimes goes for weeks..